Childhood obesity in Taiwan, as in Canada and many other countries, has been steadily increasing in recent years (,). To address this problem, Taiwan’s Ministry of Health banned the marketing of junk food on television to children in January 2016. This paper examines the implementation of Taiwan’s law, and offers observations on the food industry’s response to the law. Three distinct behaviors of the food industry in Taiwan were observed. First, in May 2016, fast-food corporations marketed few food groups. Second, McDonald’s adapted their marketing strategy. Third, McDonalds improved the nutritional content of the Happy Meal. Globally, non-communicable diseases (NCDs) were the leading cause of premature mortality in 2015 (3). The four main types of NCDs are cardiovascular diseases (e.g. heart attacks and stroke), cancer, chronic respiratory diseases (e.g. chronic obstructive pulmonary disease and asthma), and diabetes. A common risk factor for three of these four NCDs is obesity. Based on the emerging problem of childhood obesity, scholars predict that NCDs will start to affect populations at a younger age, which means that the number of deaths due to NCDs will continue to rise. Consequently, public healthcare professionals advocate for interventions that target childhood obesity. One strategy to decrease childhood obesity is to ban the marketing of junk food to children; Taiwan implemented a ban to address childhood obesity in January 2016, and the reaction of the food industry in Taiwan reveals valuable insights about this health policy. In Taiwan, the primary advocacy for this policy came from the non-profit organization Child Welfare League Foundation, a non-governmental organization (NGO) devoted to improving child welfare services. One of the issues for which they advocated was the ban on the marketing of junk food to children. The organization achieved three advocacy milestones. First, they conducted a nationwide survey of 1,351 elementary and middle school students assessing their TV viewing habits (4). 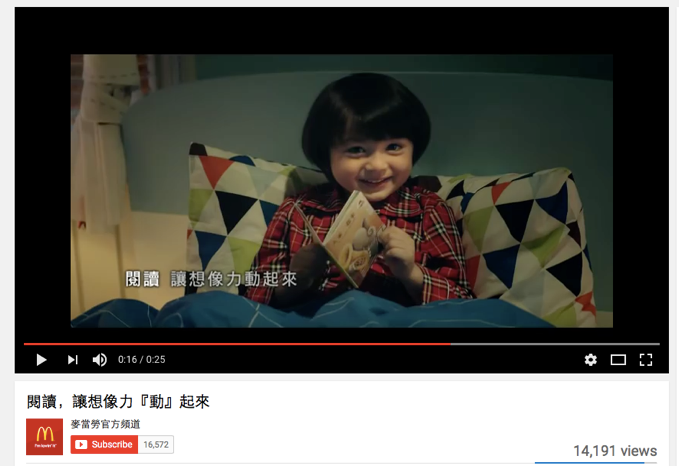 Second, the Foundation’s Research and Development Director, Chiu Ching-hui (邱靖惠), stated publicly that “even adults would be tempted by the ads to buy junk food, let alone young children” (5). Third, Alicia Wang (王育敏), a former CEO of the Child Welfare League Foundation, became a legislator of the Chinese Nationalist Party (KMT) and strongly supported the ban. Additionally, Dr. Nain-Feng Chu, a researcher working for the Ministry of Health on the topic of childhood obesity, explained that this ban was implemented one year after Taiwan’s health ministry began a campaign to inform the Taiwanese population about the dangers of trans and saturated fats (6). These types of fats are often used in the preparation of the deep-fried products sold in the popular Taiwanese night markets. Creating an awareness about the negative health consequences of the consumption of trans and saturated fats made it easier for the general public to understand the rationale behind the ban of marketing of junk food to children. The policy to ban marketing of junk food during children’s TV programming in Taiwan, defined junk food as foods with fat exceeding 30 percent of the total calorie count, foods with saturated fat exceeding ten percent of the total calorie count, foods with an excess of 400 milligrams of sodium per serving, and foods where added sugars make up over ten percent of the total calorie count (7). The ban prohibits the marketing of junk food on five children’s TV channels between 5:00pm and 9:00pm, the most popular viewing hours. During restricted advertising times, ads cannot be aired on television channels that target children and should not include certain phrases or representations that market unhealthy food as a substitute for a healthy meal. However, such ads can still be aired in other time slots, or on channels not targeting children, such as news channels. There is also a complete ban on the promotion of complimentary toys given out with meals, a common marketing technique among fast food chains which are becoming increasingly popular in the big cities in Taiwan. Additional promotions, such as offering a toy or gift for an additional price with the purchase of a product, are similarly banned. Moreover, any company marketing junk food on children’s TV channels faces a penalty between NT$40,000 (US$1,189) and NT$4 million (US$118,917). Advertisers can also be asked to correct the content of the ad if it is deemed a serious violation, and can be fined up to NT$600,000 (US$ 19,104) if they refuse to stop airing the ads. Health departments are tasked with supervising companies which includes an increasing number of infections (5). The government also established a phone line, which anyone can call to report illegal activities, thereby allowing parents and those concerned about children’s health to help enforce the law. A three-day sample (two weekdays and one weekend day) was collected by watching the children’s TV channel, YOYO TV, within the time specified by the policy between May 20th and 31st 2016. Short videos and pictures of the food advertisements were taken, and the type of each food advertisement was recorded. Additionally, a McDonald’s advertisement and Happy Meal menu were analyzed. Overall, this study observed three reactions of the food industry. First, few categories of food were marketed to children. Second, McDonald’s promoted their brand without breaking the law. Third, the children’s menu at McDonald’s in Taiwan became more nutritious. The marketing after the implementation of the ban included four main types of foods. First, foods high in sugar were still advertised, though it is uncertain whether these foods meet the criteria of junk food, or whether the industry was trying to advertise these products despite the risk of a fine. The foods advertised included ice-cream and a snack made of a mix of juice and dried fruits. Second, ready-to-eat vegetables, tofu, sausages and eggs sold in 7/11 stores were frequently advertised. Third, an ad featuring nutritional supplements for children who have low appetite was featured. Additionally, outside of the three-day sample, an advertisement for McDonald’s was analyzed. In this TV advertisement, McDonald’s encourages children to read books, and in a subtle way, promotes its brand. In the ad, parents concerned about the noise coming from their child’s bedroom are relieved to find their child engaged in reading a pop-up book (Figure 1). Figure 1: Advertisement of McDonald’s pop-up books (8). 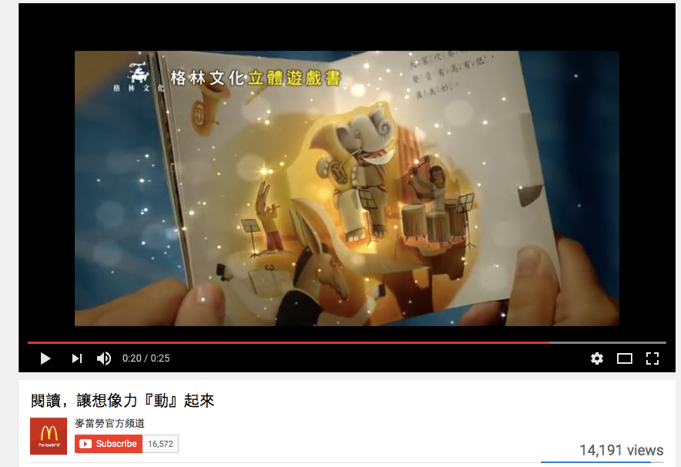 Later in the ad, the book that the boy is holding appears to be magical, with sparks and playful music accompanying it. A monkey then places the book among other books and a McDonald’s Happy Meal Box. 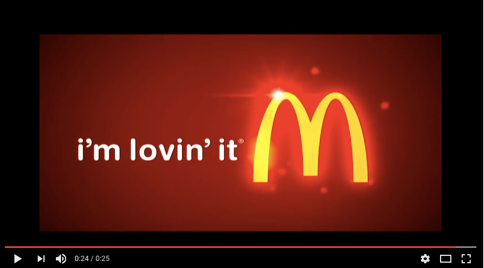 During the entire 25-second advertisement, no images of food sold by McDonald’s appear; only a symbol of McDonald’s, a Happy Meal box, and a McDonald’s logo are present (Figure 2). McDonald’s is using a clever strategy to promote their brand to children without advertising junk food. 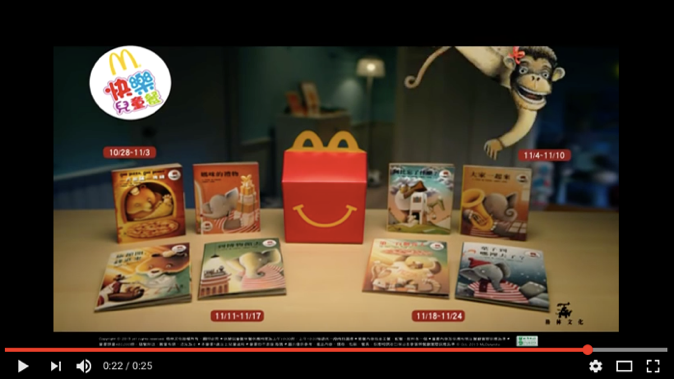 Figure 2: Advertisement of McDonald’s pop-up books featuring McDonald’s symbols (8). Moreover, in anticipation of the future law, McDonald’s improved the nutritional content of its Happy Meal two months before the implementation of the ban (9). 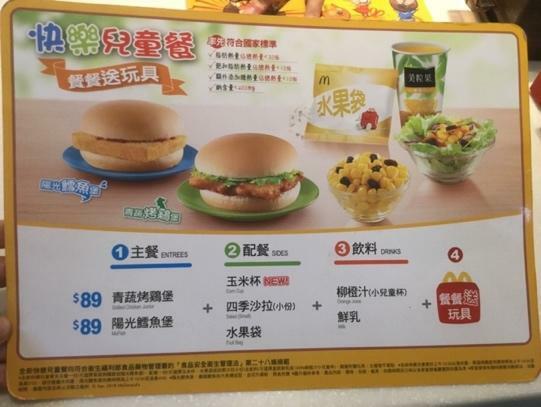 In May 2016, the MacDonald’s Happy Meal in Taiwan replaced French fries with a choice of a corn cup, a small salad, or a fruit bag, and replaced pop with a choice of orange juice or milk (Figure 3). The fast food giant has continued to improve the nutritional content of its menu, and in January 2017, McDonald’s added protein-rich chicken bites to the menu. Figure 3: Nutritionally improved McDonald’s Happy Meal menu. The ban on the marketing of junk food in Taiwan may have prompted some changes in the behavior of the food industry. While it is not clear whether it is a direct result of the ban, in May 2016, junk food advertisements were rare, whereas advertisements for healthy food choices, such as for seasoned vegetables and milk were common. Additionally, nutrient-poor foods such as American sliced cheese, common in the western diet, were advertised as a healthy food. This type of advertisement reflects a dangerous tendency of the food industry – aiming to replace the traditional diet with low quality food. While not all fast food corporations are alike, McDonald’s can be used as a fair representation of the junk food industry in Taiwan. McDonald’s reaction was strong, although it is unclear whether it was a reaction to the ban, or simply an adaptation to the increasing public awareness of the negative consequences of junk food. First, to advertise their products without breaking the law, McDonald’s adopted new marketing strategies. McDonald’s aired the previously-mentioned ad on adult TV stations, rather than on children’s stations restricted by the ban. Additionally, McDonald’s provided customers of Happy Meals with books. Dr. Nain-Feng Chu clarified that the ban restricts the promotion of junk food, but it cannot stop the food industry from providing gifts, especially if they have an educational purpose (6). McDonald’s behavior highlights the fact that implementation of the ban is just a first step in the efforts to stop the marketing of less healthy products to children. This type of law requires constant improvement as new marketing techniques continue to evolve. Secondly, McDonald’s improved the nutritional content of its menu two months before the law was implemented. Overall, creating public awareness about the importance of nutrition has been highly successful for Taiwan’s Ministry of Health. It is reasonable to expect that other fast food chains will follow McDonald’s lead. The analysis of Taiwan’s ban on the marketing of junk food to children provides insight into the components required to successfully implement such a law. First, before advocating for a specific intervention, it is important to analyze the food culture of the society to which it is applied. Second, to establish the legislation, political will is essential. Third, the public must understand the rationale for an intervention before the law is implemented. Fourth, while a punishment for non-compliance to the law might not be sufficient to stop the marketing practices of a company, it emphasizes the importance of the law. In addition, establishing a phone line or other form of communication to report illegal actions allows citizens to engage with the law. Finally, public awareness can encourage the food industry to improve the nutritional content of foods, which can help curb the childhood obesity epidemic. Pei-Lin H, FitzGerald M. Childhood obesity in Taiwan: Review of the Taiwanese literature. Nursing & Health Sciences. 2005; 7(2):134-142. National Collaborating Centre for Healthy Public Policy. & McGill Health Challenge Think Tank. Childhood Obesity in Canada: A Societal Challenge in Need of Healthy Public Policy; 2007. Available from: http://www.worldcat.org/title/childhood-obesity-in-canada-a-societal-challenge-in-need-of-healthy-public-policy/oclc/311304803 [Accessed 13th March 2017]. GBD 2015 Mortality and Causes of Death Collaborators. Global, Regional, and National Life Expectancy, All-Cause Mortality, and Cause-Specific Mortality for 249 Causes of Death, 1980-2015: a Systematic Analysis for the Global Burden of Disease Study 2015. Lancet. 2016; 388(10053):1459-1544. Hirsch M. Foundation seeks better TV for kids. Taipei Times. 2016. Available from: http://www.taipeitimes.com/News/taiwan/archives/2006/12/21/2003341294 [Accessed 13th March 2017]. Shan S. Restrict junk-food ads, legislators say. Taipei Times. Available from: http://www.taipeitimes.com/News/taiwan/archives/2012/10/03/2003544271 [Accessed 13th March 2017]. Chu N-F. Community medicine researcher. Personal communication. May 25th 2016. Ren M. Taiwan Bans Junk Food Marketing To Kids. Eye on Taiwan. 2016 Available from: http://www.eyeontaiwan.com/taiwan-bans-junk-food-marketing-to-kids [Accessed 19th March 2017]. 麥當勞官方頻道. YouTube; 2015. Available from: https://www.youtube.com/watch?v=ivD7VrCvEh0 [Accessed 13th March 2017].